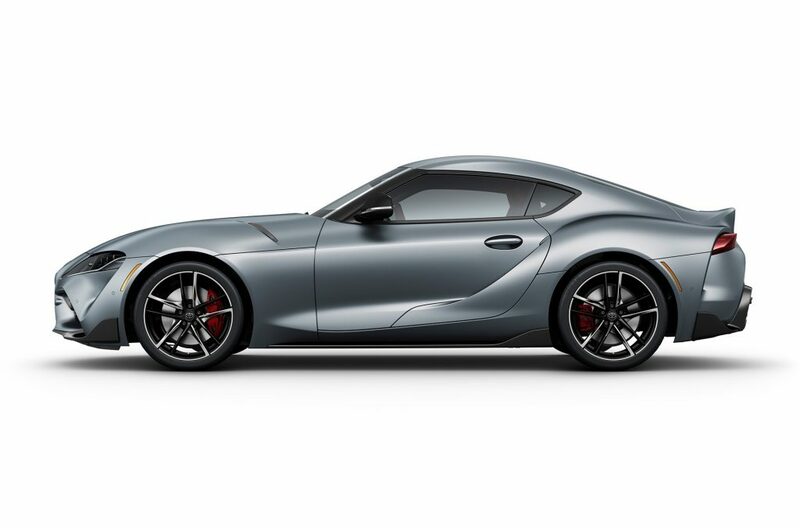 Toyota Motor Corporation (Toyota) premiered its much-anticipated all-new Supra today at the 2019 North American International Auto Show*1 in Detroit. Sales in Japan of the new Supra are slated to start around spring 2019. The new Supra is the first global model of TOYOTA GAZOO Racing’s GR sports car series. Ever since first competing in Germany’s 24 Hours of Nürburgring endurance race in 2007*2, TOYOTA GAZOO Racing has been aiming through its motorsports activities to develop its cars and people, with the goal of “making ever-better cars.” The knowledge and know-how it has built up over the years have been funneled into bringing the Supra back to life in the form of the “GR Supra,”*3 as a car that people the world over will find fun to drive. The all-new fifth-generation Supra marks the end of a 17-year hiatus since the conclusion of production of the previous generation in 2002. Ever since the Supra’s inception in 1978*4, all generations have been front-engine, rear-wheel-drive vehicles powered by an inline six-cylinder engine. The latest rendition is no exception. This time around, extensive attention has also been paid to the three fundamental elements of wheelbase, tread, and center of gravity, thus achieving handling performance befitting a pure sports car. Also today, TOYOTA GAZOO Racing launches the “Supra is Back” edition of a global television commercial series to promote the new Supra. Appearing are top-class TOYOTA GAZOO Racing drivers*5, making a good match for the first global model of the GR series. To achieve excellent handling and a stable cornering stance, the three elements of wheelbase, tread, and center of gravity were positioned as the most important factors in pursuing the ideal conception of a pure sports car. Being straightforward about the model being a two-seater, at 2,470 mm, its wheelbase is 100 mm shorter than that of the 86. The relatively short wheelbase results in a wheelbase-to-tread ratio of 1.55, one of the smallest ratios among mass-production sports cars, contributing to excellent turning performance. All-out efforts were made to lower the center of gravity, resulting in a lower center of gravity than in the 86, which features a horizontally opposed engine. An ideal 50/50 distribution in front/rear weight balance, which is one of the crucial elements in determining cornering performance, was achieved. By fully leveraging the sports car packaging and layout characteristics described above, efforts were made to achieve sports styling suitable for the first global model of the GR series. The styling inherits the traditional features of Toyota sports cars, such as a “double bubble” roof, which contributes to reduced air friction (found in the Toyota 2000GT), and an approach for creating a condensed body design by positioning vehicle exterior lamps more inward from the sides of the vehicle to make the fenders appear more voluminous (found in the Toyota 2000GT and fourth-generation Supra). With a skeletal structure that employs both aluminum and steel, and by pursuing ways to increase bonding strength among materials of differing composition, body rigidity up to 2.5 times higher than that of the 86 was achieved. Rigidity is even higher than that of the Lexus LFA, which features a cabin constructed of carbon fiber-reinforced plastics. 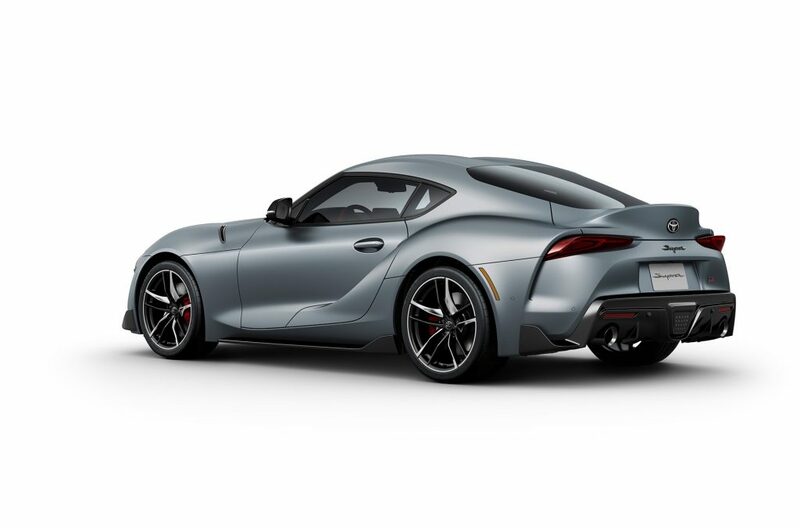 The tradition of an inline, six-cylinder engine found in successive generations of the Supra is carried on in the form of a 6.3-liter, inline-6, twin-scroll turbocharged engine*6. Maximum torque of 500 N･m is produced at a low engine revolution of 1,600 rpm, allowing exhilaration from acceleration that perfectly matches expectations in line with accelerator-pedal operation. Available*7 are two differently tuned 2.0-liter, inline-4, twin-scroll turbocharged engines. One, with a high-performance maximum output of 190 kW (258 PS), is ideal for light, sporty driving, while the other, which musters 145 kW (197 PS), allows for a brisk driving sensation from in-town to highway. A newly designed suspension (front: double-joint spring strut; rear: multi-link) is characterized by reduced unsprung weight, high-rigidity assembly, and minute movability. Certain grades feature the Adaptive Variable Suspension system*7, which provides a high level of both drivability and riding comfort by optimally controlling such elements as the selected driving mode and the damping force of each wheel’s shock absorber depending on the conditions of the road surface. While coordinating with the Vehicle Stability Control system, an active differential optimally controls the locking ratio between the rear left and right wheels in a stepless range of zero to 100 by way of an electronically controlled multi-plate clutch. When entering a corner, the differential selects the locking ratio for a high level of balance between turning performance and stability. When coming out of a turn with the driver pressing on the accelerator pedal, the locking ratio is increased for optimal traction performance. With importance placed on the environments in which customers drive in the real world, proving runs were thoroughly and repeatedly conducted on regular roads during various stages of development. Such runs naturally included racing-speed drives at Nürburgring. But numerous tests were also held on a wide range of roads throughout the world, such as country roads in Europe, the Autobahn in Germany, snow-covered and ice-covered roads in Northern Europe, highways in the United States, and winding roads in Japan. The result is tuning aimed at enabling drivers to experience the joy of driving the new Supra even in everyday situations. Paul Walker’s Supra sold for RM669k! Next-generation Toyota Supra said to be more BMW underneath. Wait, what? !